Okay, more like the House of Hilarity and the Dungeon of Delirium. 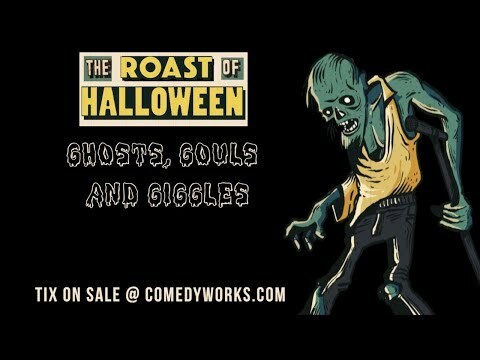 Either way you will not want to miss this wickedly funny Halloween Roast! We have summoned the best of Denver’s headlining comics who transform into your favorite monsters, ghosts and ghouls. Then it is every last Specter for themselves as we unleash them on the best stand-up stage in the country in order to verbally slaughter each other for your sick Halloween pleasure. So come watch the Wolf Man tell Dracula where he can really stick that stake and the Mummy come unraveled by the comic stylings of Frankenstein’s Monster. Created by Comedy Works favorites Brent Gill and Deacon Gray. Be careful. You might die laughing!